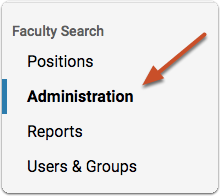 Faculty Search provides administrative users with a standard, government mandated EEO statement to use for your searches. Administrators can use this statement as is, edit it, or add their own. 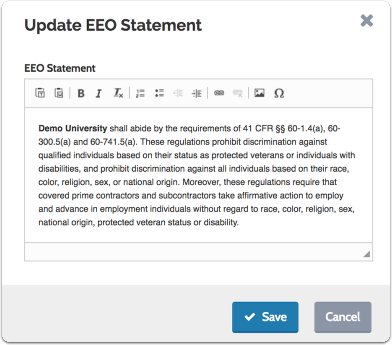 Administrators in the program can also set a default EEO statment that will become available to all units creating positions at the institution. Changes made to the EEO statement can be sent down to all lower administrative units. Follow the directions below to view or edit the standard EEO statement. 3. 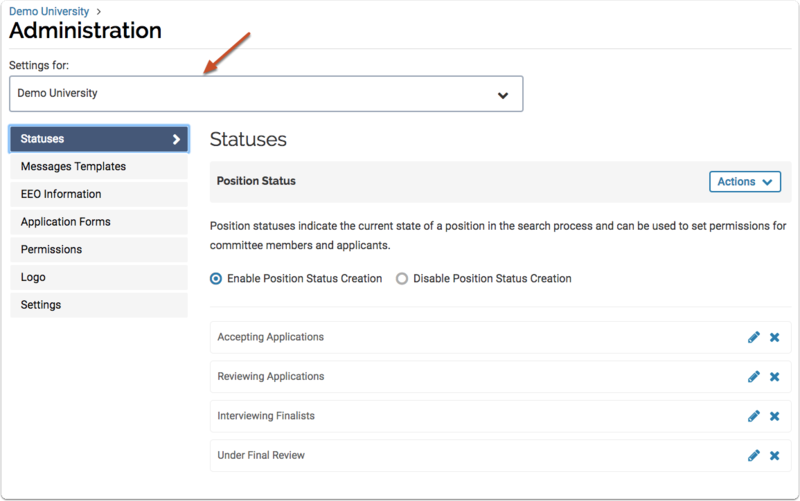 Open the "EEO Information" tab and look for the "Current EEO Statement"
The image below shows what an Administrator in the program would see when setting up a default EEO statement for an institution. Select "Use government mandated EEO statement"
If you click "No," the statement will only be changed for the administrative level you are currently editing. 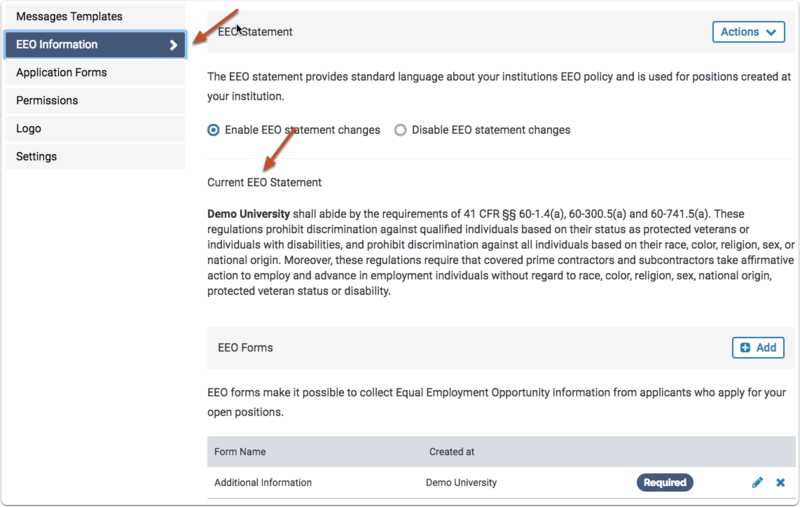 Select "Add your own statement"
Disabling changes to the EEO statement will prevent administrators at the units below the current unit from making changes to the EEO statement. It will automatically copy the current statement to those units.